Home » Blog » How can you lower your baby’s risk of getting a cleft lip? According to Centers for Disease Control and Prevention, about 4,400 infants in the United States are born with a cleft lip with or without a cleft palate and about 2,700 infants are born with cleft palate alone. If you’re pregnant, it’s important to know about these birth defects so you can take steps before and during pregnancy to reduce your baby’s risk. A cleft lip happens when the tissue that makes up the upper lip doesn’t join completely during pregnancy, causing a small slit or a large opening from the lip into the nose. A cleft palate happens when the tissue that makes up the roof (palate) of the mouth doesn’t join completely during pregnancy, causing an opening in either both the front and back parts of the roof of the mouth or just a part of it. An ultrasound during pregnancy can diagnose a cleft lip and/or cleft palate. Many birth defects develop very early during pregnancy so it’s important to see a doctor or midwife as soon as you find out you’re pregnant. 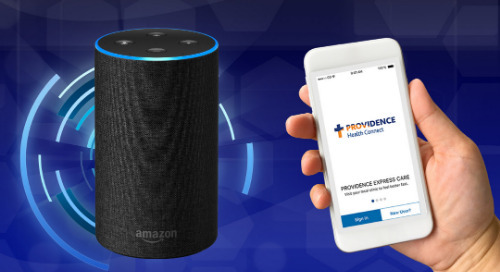 If you haven’t found a provider yet, Providence can help you find a provider who’s right for you.